Many of us take our arms for granted. You don’t realise how much you rely on them in your day-to-day lives. That is, until you suffer an injury. You might think to yourself that it’ll clear up on its own. You might even persuade yourself that your injury is inconsequential. 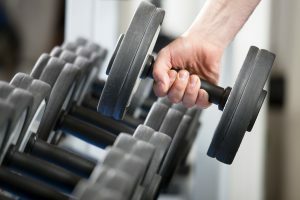 However arm pain can be stop you from doing your day-to-day job, going to the gym, or even performing household chores. When it comes to disruption power, arm pain easily places in the top five. Today, we explain the most common types of arm pain we treat, and why you should choose our physio in Caulfield for sustainable treatment. You may have heard of “tennis elbow” or golfer’s elbow”. However, golfers and tennis players aren’t the only people who suffer from this condition. 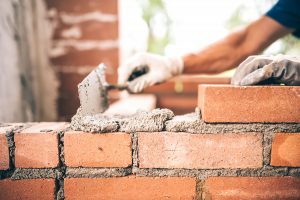 People working trades like carpenters or bricklayers that perform repetitive elbow movement often present with similar pains. Repeated contractions can lead to micro-tears in your arm muscles and tendons. The result are impossible-to-miss pains and aches in and around your elbow. Pain might flare up every time you grab something, tense, or even wiggle your fingers! Click here to learn more about the symptoms and causes of tennis elbow, and how an Physio for arm in Caulfield can help out. Are you suffering from a sprain? Just like the other joints in your body, the elbow is held together and protected by a complex system of ligaments. These are tough, fibrous and flexible, and connect your bones to one another. When the elbow is twisted, turned or bent beyond its normal range of motion, your ligaments are often damaged in the process. The result is a sprain. It’s not just athletes who suffer from elbow sprains either. You might be just a stumble or fall away from suffering an elbow sprain yourself! Suffering from a sprained elbow or shoulder? Read up on your treatment options here. Your bursae have a job: to ensure smooth, pain-free movement in your arm joints. They do this by sitting between your bones and muscle, absorbing impacts and creating lubricant. Think of them as shock absorbers for your joints, and you’ll have a pretty good idea of what they do! Overuse can wear your bursae out, to the point where your bones grind against your arm muscles every time you use them – ouch! Another potential culprit is injury – a nasty fall can damage your bursae, and stop them from doing their job. It’s not hard to ignore the signs of bursitis. Asides from joint pain, you’ll also have to contend with visible swelling and inflammation in the affected joint. This swelling often manifests into an obvious bump. This turns using your arms from effortless to a literal pain! Click here to see whether your pain fits the definition of bursitis. One common overuse injury many of our patients suffer from is muscle tears. Like the name suggests, these injuries are the result of pushing your arm muscles too far, or exercising without a proper warm up. These injuries range from simple overstretching to tears in your arm muscles. If your job involves heavy usage of your arm muscles or you’re planning on getting back into sport, we recommend touching base with a physiotherapist first. In addition to Physio for arm, we can identify potential risks and help you better manage the risk of injury or pain. Suffering recurring pain from poor recovery in the past? When you suffer from injury, a physiotherapist can help you recover. They’ll prescribe a unique routine of arm exercises that encourage healing, restore strength and protect you from recurring injuries. Your Physio for arm holds the keys to a pain-free lifestyle. That is, assuming you follow their recommendations! A one-off arm injury can lead to lifelong pain if the recovery is impaired. It also increases your risk of other injuries further down the line. If you feel an old arm injury like a broken bone making a comeback, get in touch with a qualified physio in Caulfield. They’ll diagnose the cause of your arm pain and figure out if it has anything to do with a previous injury. Then, they’ll prescribe you a routine that targets your pain and resolves it… for good! When it comes to arm injuries, physiotherapy is one of the most potent tools you have to restore function and reduce pain. And if you’re in the market for an Physio for arm in Caulfield, Physio AUS is the best in the business. Our unique system starts with drilling down into the exact causes of your arm pain. Every injury is unique – to best resolve your pain, we need to figure out exactly what’s wrong. Get in touch with our team of expert physiotherapists to start recovering from your arm pain. We look forward to welcoming you to our Caulfield South clinic. Book an appointment online using our handy booking system, and if you have any questions, don’t hesitate to give us a call on 1300 392 552. In the meantime, why not visit our YouTube channel? Here you’ll find exercises and informative videos that’ll help you start the healing process early.